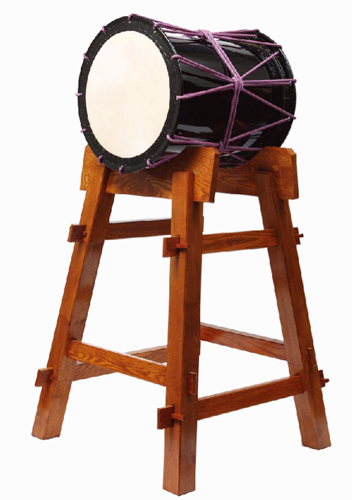 Originally popular in the Hokuriku and Tohoku regions, Okedou Daiko (meaning "stave-body drum") is now common throughout Japan. The head is crafted of leather stretched across an iron ring, and is attached to the body by rope tension. 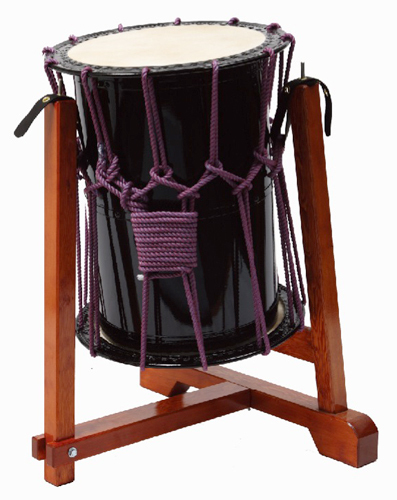 Because of this construction, the pitch of a Okedo Daiko can be tuned relatively easily by adjusting the tension on the rope. Okedou Daiko is generally cheaper and lighter than a comparative Nagadou Daiko, and for this reason, is often used in a set of varying sizes. Smaller Okedou Daiko with a diameter of about 1.4 to 1.8 shaku (42 to 54 cm) may be slung across one's shoulders with a strap as a Kakae Oke (meaning "slung tub"), allowing the performer to move about freely, even incorporating elements of dance into the performance. 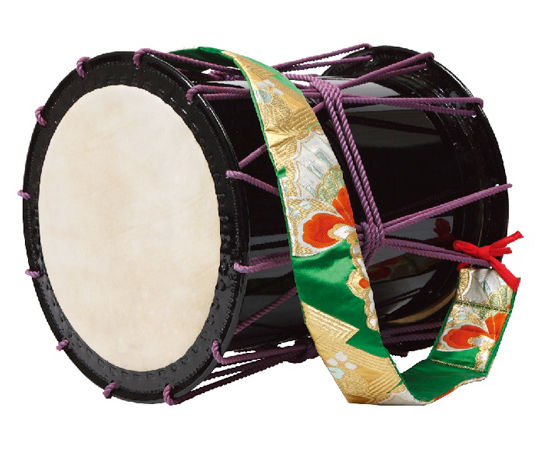 While the Okedou Daiko lacks power and has a lighter sound than the Nagadou Daiko, it offers much room for creativity when it comes to how it can be incorporated into your performances.